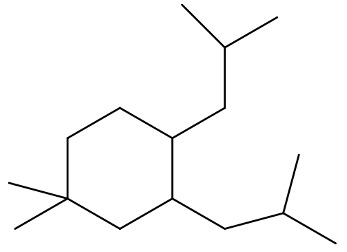 What is the IUPAC name for the compound shown below? 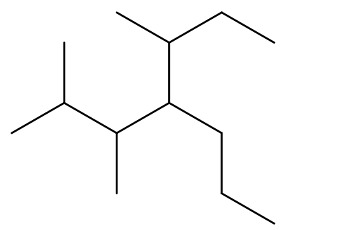 Draw the structure of (1,1-dimethylethyl)cyclopentane. Give the IUPAC name for the following compound. Translate the given conformer from the wedge and dash drawing into its Newman projection. Translate the given conformer from the wedge-and-dash drawing into its Newman projection. Translate the given theoretical conformer from the wedge-and-dash drawing into its Newman projection. Translate the given theoretical conformer from the Newman projection to its wedge-and-dash drawing. (Replace the provided placeholder H atoms with the appropriate atom/group). 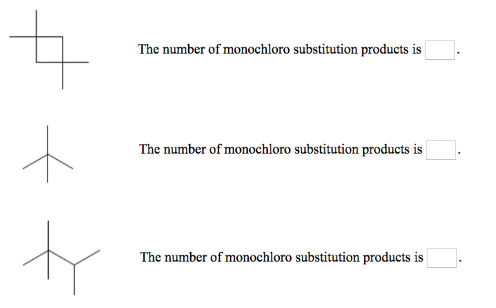 How many monochloro substitution products are produced when the alkanes below are chlorinated? Consider constitutional isomers only, ignore stereoisomers. 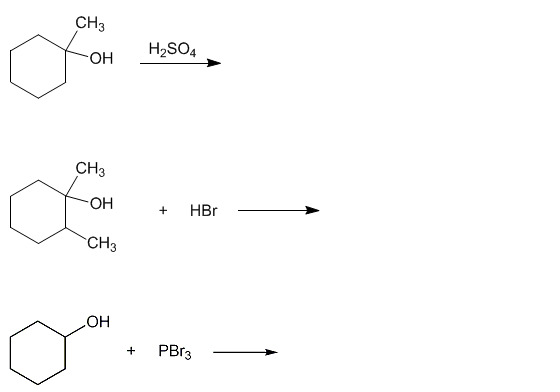 Draw the major organic product of the reactions shown below. b. is called a racemic mixture. c. implies that the enantiomers are meso forms. Draw the major organic product of the reaction shown below. Of the molecules AlCl3 and AlBr3 , which has bonds that are more polar? 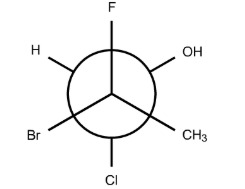 Draw the major product(s) of the following reaction. You do not have to consider stereochemistry. If there is more than one major product possible, draw all of them. Classify the mechanism as a substitution, elimination, or addition reaction. How many monochloro substitution products are produced when the alkane below is chlorinated? How many monochloro substitution products are produced when the alkane below are chlorinated? Consider both constitutional isomers and stereoisomers. Draw the products of the transformation shown by the fishhook notation. Include all hydrogen atoms and nonbonding electrons.